On Monday, New Jersey Governor Phil Murphy signed a $15 minimum wage into law statewide. Now over 1,000,000 New Jersey workers will join workers in California, New York, Massachusetts, and Washington D.C. on their way to making enough to feed their families and pay their bills — with workers in other states sure to follow. This victory proves that when workers speak out, march, and organize like a union, we WIN — and we’re not done yet! 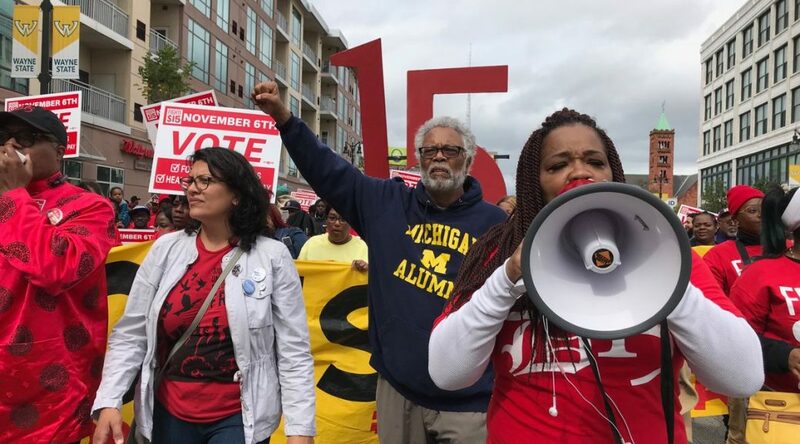 Read and share to stand with our fellow workers in New Jersey in the Fight for $15!